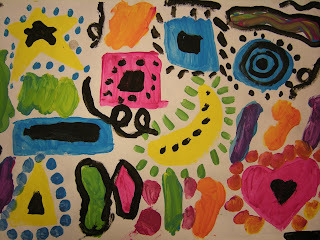 In Art class, 1st graders learned about two different types of shapes; geometric and free-from. Some examples of geometric shapes are circles, squares, and triangles. 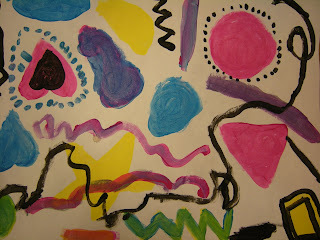 Some free-from shapes are cats, blobs, and me. 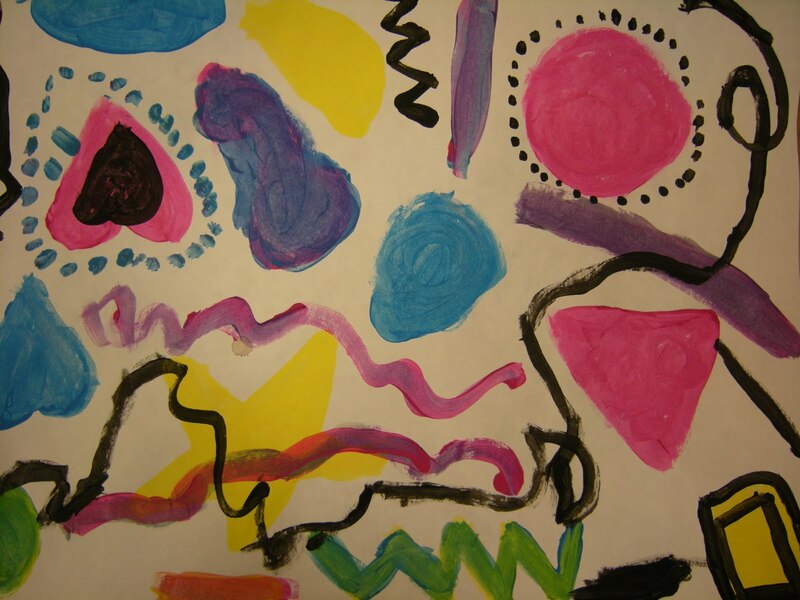 Students created art just like the artist Kandinsky by painting geometric and free-form shapes. 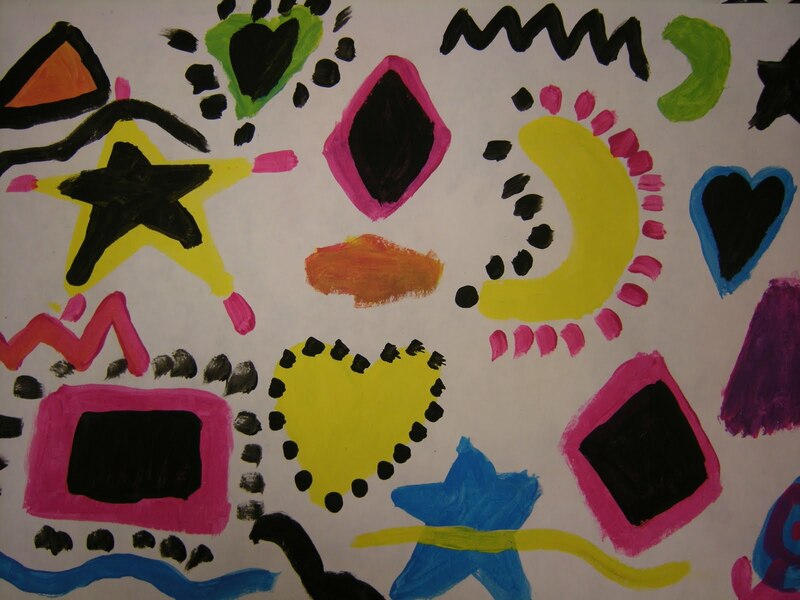 They painted shapes using the primary colors and then added black paint to show different types of lines. thanks for sharing this - i like the way these are neat and graphic and not too "all over the place", as Kandinsky types can easily get. i will remember this idea.